You know you’re in Switzerland when even the public toilets look like they belong in a design showroom. In Uster, architects Gramazio & Kohler slapped 295 bright green, laser-cut, folded aluminum strips onto a prefab restroom in a city park. The depth of the folds and the various shades of green make the facade shimmer–an effect that changes with the angle of the sun and the observer’s perspective. Remember: This is where you go after several glasses of Feldschlösschen. The architects didn’t provide photographs of the interior, which has us thinking the stalls aren’t nearly as nice as the facade. 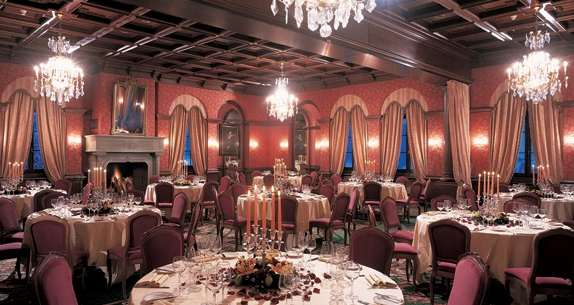 But for all we know (this being Switzerland) it’s done up like the Gstaad Palace in there.